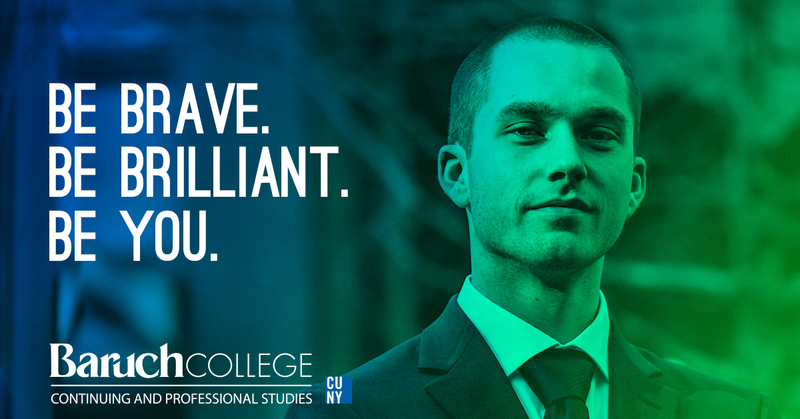 Baruch CAPS Finance, Financial Planning, and Investment courses are industry-driven and led by seasoned professionals. You may register for individual marketing classes, or you can apply for a certificate. Our courses include topics such as capital markets, corporate finance and valuation, debt and fixed income markets, venture finance, equity markets, portfolio theory, estate planning, investment banking, retirement planning, wealth management, derivatives, statistics and probability, and much more. Baruch CAPS offers Financial Planning, Finance and Investment Principles, and Advanced Finance and Investment Principles Certificates. Certificates provide a significant discount over taking several individual accounting classes and will give you a solid credential backed by Baruch College’s reputation as a world-class business school. Forbes Names Baruch College among America’s “Best Value Colleges 2018”. Money Magazine: Baruch College is #1 “Best Public Colleges.” These classes and certificate programs are designed for both beginners and advanced students who seek to strengthen their skill set or learn new techniques. Our student body is diverse and spans across industries, which add to a unique learning experience. To learn more about these programs, click on the links below, or you may call our office at 646-312-5000. Distinguish yourself as an objective financial planner, whether as an individual practitioner or as planners sponsored by large advisory company. This certificate provides an excellent foundation for those entering or considering a transition into the field of finance. Learn what drives the global equity, fixed-income, and derivatives markets.